Is Parts Traceability an essential requirement, a necessary evil or a waste of time and money? At Speedboard you decide. Each and every customer we work with have their own needs and compliance standards. This is always the starting question. It is all too easy to assume (and we know what that means) that everyone round the table is thinking the same. However, experience tells us that Traceability means one thing for one person and something quite different for another. Serial numbering and batch control of what we assemble for you. CofCs on all critical parts for UL etc. 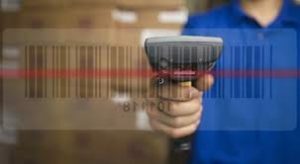 Speedboard are happy to provide whatever level of traceability is required. You however, must determine what the risks are in your business and decide what level (and therefore cost) of traceability you need for your work. If you would like to know more about traceability or any other services which will benefit your manufacturing needs please do not hesitate to contact us.